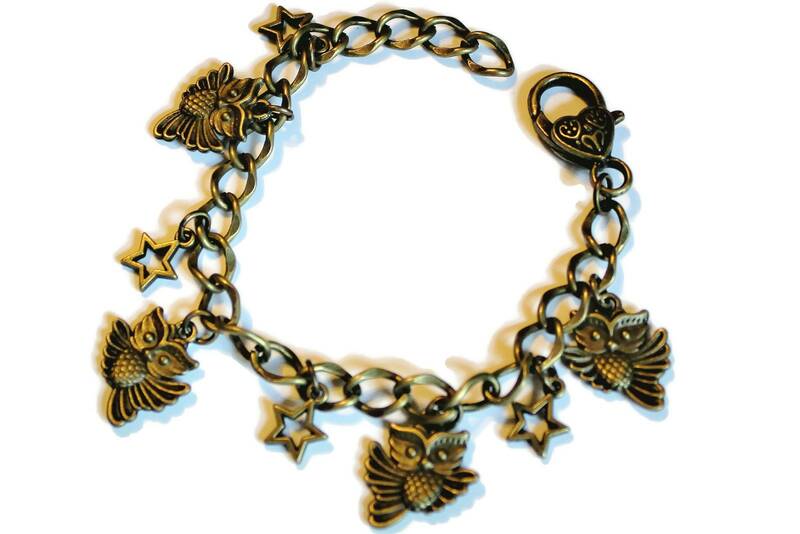 This comfortable, pretty bracelet is made of a sturdy, brass chain with Owls and Stars. See European Bangle Bracelets here. See Adjustable Bangle Bracelets here. 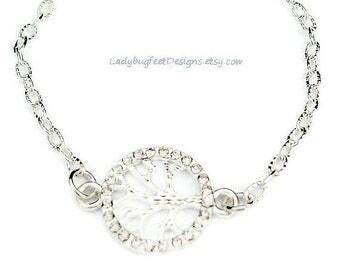 RHINESTONE TREE of LIFE Bracelet/Anklet, Silver Textured Open Cable Link Chain, Pick your size!